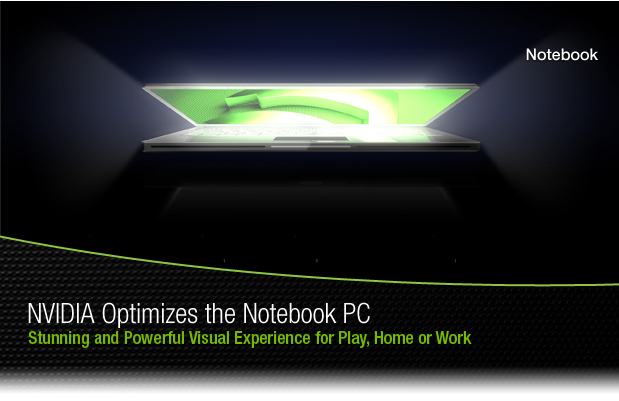 Nvidia site shows the new Apple Macbook Pro laptop ? Ok, so there is some speculation in the market that the new Apple laptops would be packing a mean graphics punch to them with new Nvidia chipsets. Apparently Apple wants the new laptops to appeal to gamers. That’s an uphill task considering the fact that till now the majority of the games available is for the Windows platform. There have been reports that Nvidia has been showing off the graphics capabilities on the new Macbook Pros running on Nvidia chipsets to its employees. So there might be some credence to these rumours. The design shown in the photo is more inline with Apple’s design philosophies as demonstrated in its previous models. But is this the one? Well we just have to wait to know the answer to that one.